There exists a worldly need for more technical professionals to fix the ever complex problems humanity faces every day. The best way to create more engineers and scientists is to encourage and engage youth to show that math and science enables people to do amazing things. 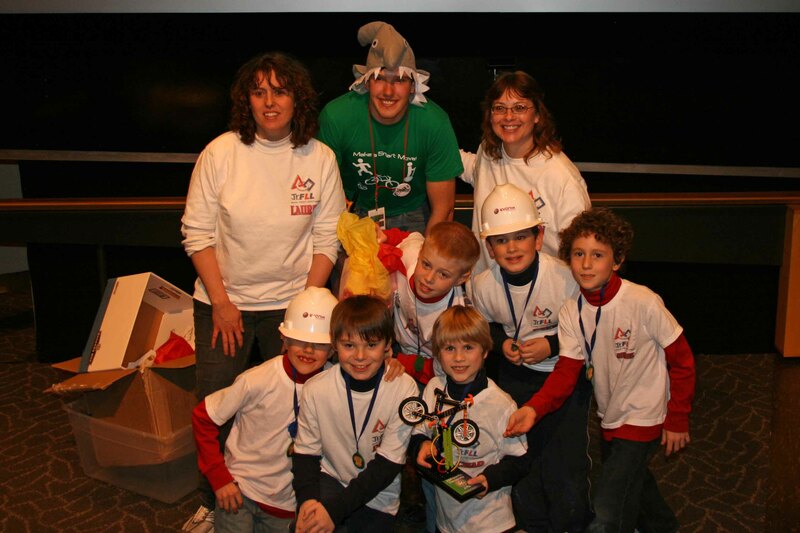 Brice first experienced engineering outreach as a Freshman at Iowa State University (ISU) when volunteering for the FIRST LEGO League (FLL) Iowa championship and was immediately hooked. Brice has learned how intelligent kids can be after hearing 9- to 14-year-old students speak on environmental engineering, transportation and biomedical engineering through the past years of FLL challenges. Brice volunteers hundreds of hours every year for STEM (Science, Technology, Engineering and Mathematics) outreach. Some of these great experiences are highlighted below. Brice held his first annual STEM-spire event April 7-8 2011, spending 18 hours of outreach with over 300 students, ages 8-18, from six schools. STEM-spire events occur each academic semester when Brice visits schools, organizations and centers to speak about virtual reality with interactive demonstrations. These events have been supported by the Virtual Reality Application Center through equipment loan and a scholarship from the Interservice/Industry Training, Simulation and Education Conference (I/ITSEC). Since 2008 Brice has been a member of the ISU College of Engineering FLL Planning Team which organizes the continuously growing FLL competition throughout Iowa. FLL is an international competition for teams of 9- to 14-year-old students who give presentations on a themed research topic while also designing, programming and competing with robots they have created. In the 2011 season, there were ~280 teams within the state of Iowa who participate at one of nine regional competitions to gain entrance to the championship at ISU which is held in five buildings and draws an annual attendance of over 3500 people. To view images of the Iowa FLL Championships visit the ISEK FLL page. On many occasions Brice has supported the monthly Virtual Reality Application Center (VRAC) public tours either through speaking or running the technical aspects. These tours average 80-250 people per show and discuss the research at the VRAC, virtual reality and provide a few demonstrations for the audience. Brice has also organized tours for the 4H Youth Recognition Event and National Society of Black Engineers Middle School Science and Engineering Expo in 2010. To sign up for a tour or view the official description, please visit the VRAC website.